Well, I know this question may not make any sense to many but who knows, you might encounter someone who would attempt to shoot you with an arrow while driving right? 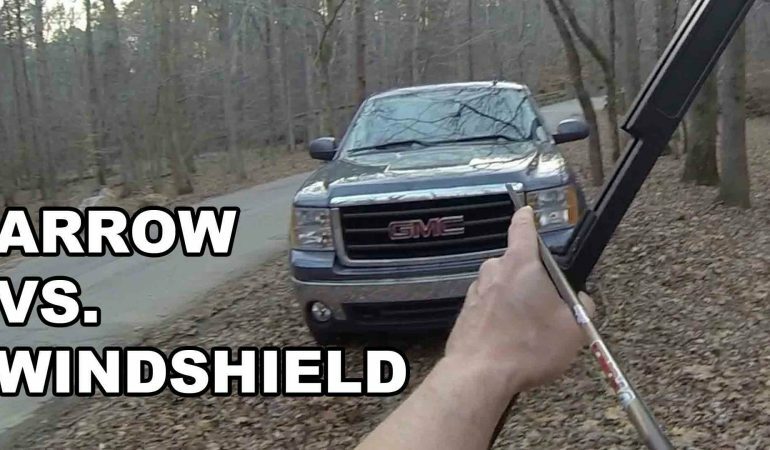 TwangnBang channel (a weapons enthusiasts), decided to put it on a test and to find out if an arrow is really powerful enough to penetrate through a car’s windshield. The guy in this video conducted two test using two different weapons. The first one is a Survival Arrow which apparently failed to get through. Instead, the arrow bounced up. The second one is a Vertical Crossbow which is way too successful that he expect it would gonna be. The Arrow didn’t just break through but it left a massive damage to the target (zombie dummy). Well, now we know how baddass Daryl’s weapon is!